We had a fun Saturday afternoon of watching tennis and football while cutting and preparing our next 2 baby quilts (a little shout out to my sweet husband for watching the kiddos so we could work!). Keeping with the SEC theme, we are making baby quilts for UGA and Auburn babies. Washed and ready to be cut! 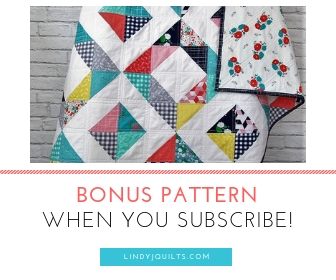 The pattern we are using is from a block we came across in one of our local quilting shops – the block is called Brides Dream by Villa Rosa Designs. We are using 10 different fabrics so that we can get a more rag-quilt look. An hour later I was able to knock out the blocks. We had just enough time to do a preliminary layout of the UGA quilt and I’m liking what I see! Mom is finishing up our second Arkansas quilt – we are calling it “The Corduroy One” – and we are really excited how it’s turning out! Hopefully we get more time to work this weekend and wrap those quilts up before football season is over!